Oh, I've got to read this one, simply to find out what that means. 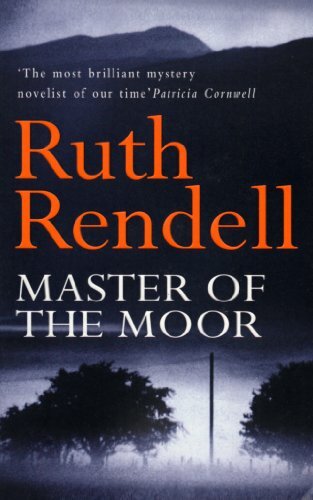 I read quite a bit of Ruth Rendell at one point in my reading life, and I think perhaps I've been too long away. Miss Lemon is very fond of Ruth Rendell, too. And if you like her, you're bound to like Margaret Yorke. Have you read any of her whydunits? They're quite addictive! I haven't gotten to her yet, but I have Mortal Remains right here on my shelf. I remember liking this one. Just finished reading her newest, Portobello. I liked it -- perhaps not as much as some others but nobody does quirk like the Baroness. The 1994 BBC television movie of Master of the Moor, with Colin Firth as Stephen, is pretty hair-raising and heart-wrenching.